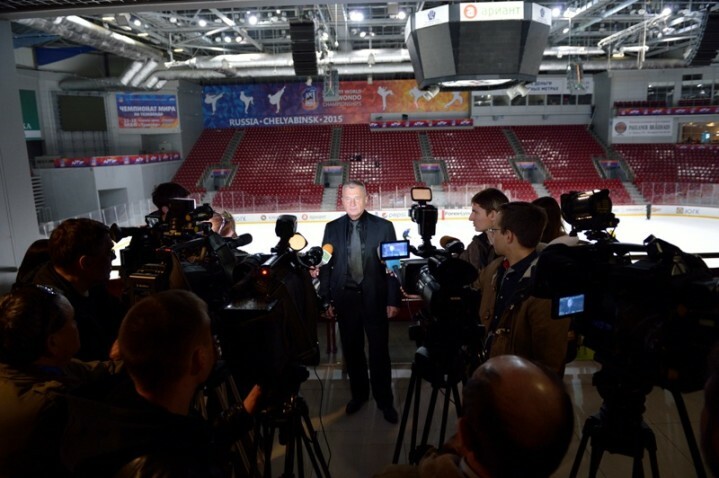 Russia - 2015/04/28 - The President of the Russian Taekwondo Union Anatoliy Terekhov has paid a visit to Chelyabinsk in order to assess the progress of the city’s and Traktor Arena’s preparation for the upcoming world championships in this sport in May. 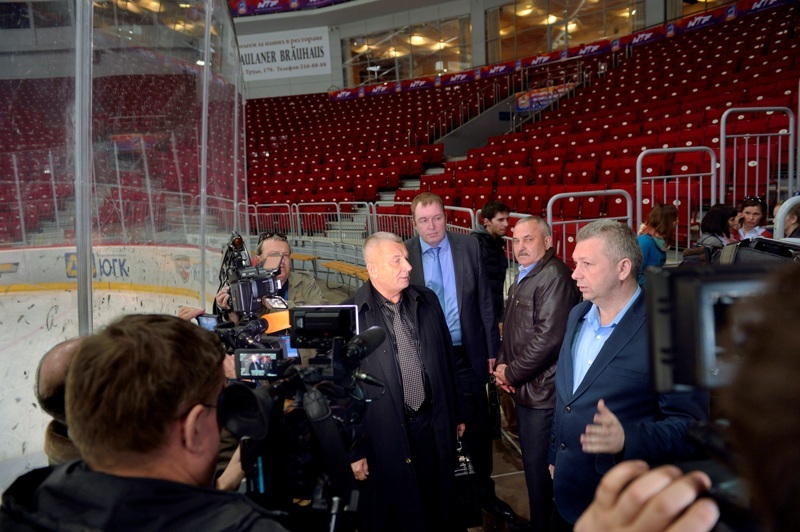 The President of the Russian Taekwondo Union Anatoliy Terekhov has paid a visit to Chelyabinsk in order to assess the progress of the city’s and Traktor Arena’s preparation for the upcoming world championships in this sport in May. He took part in a meeting of the South Ural organizing committee of the international tournament where functional managers reported on the work done. Anatoliy Terekhov started his visit to South Ural with an inspection of the main venue for the World Taekwondo Championships – Traktor Arena – which will host the competitions of the world’s best athletes. He was shown warm-up gyms, mixed zone, food areas for athletes, referees and journalists, press center, guest area and other spaces. He added that during preparation the question of organization is an important one, but it is no less significant how the Russian athletes will perform in the tournament. “The most pleasant thing is that all athletes are ready to fight for medals. We are expecting their best performances at the championships. I hope there will be gold medals and awards of other value. We have everything for that: alert coaches, athletes in good form, home crowd and excellent conditions,” Anatoliy Terekhov noted. At the meeting of the organizing committee held after arena inspection, all issues relating to current preparations for the World Taekwondo Championships were discussed. In particular, the progress of work at the arena in relation to the schedule, visa support for participants, accreditation, accommodation, volunteer operations, live broadcasting on TV channels and others. “Preparation work for the competitions is already in progress in the arena. The locations to be used during the tournament are being fitted out. Soon they will start melting the ice,” remarked Anatoliy Kiselev, President of Chelyabinsk Regional Taekwondo Federation. The World Championships in Chelyabinsk will be held on May 12-18, 2015. The organizers are expecting the tournament to become the largest in the entire history of world championships. The Russian WTF taekwondo national team’s preparations for the competition are also in full swing. The team including two South Ural girls Anastasia Baryshnikova and Olga Ivanova has completed its training camp in Kabardino-Balkaria. The athletes will have several days of rest, and from April 29 to May 9 the team will be training in the Moscow region, in the town of Bronnitsy.